Near Tianjin, workers make bricks to be used in renovations of the Great Wall. In Ming-era fashion, the bricks are steamed while being fired - which accounts for their gray color. 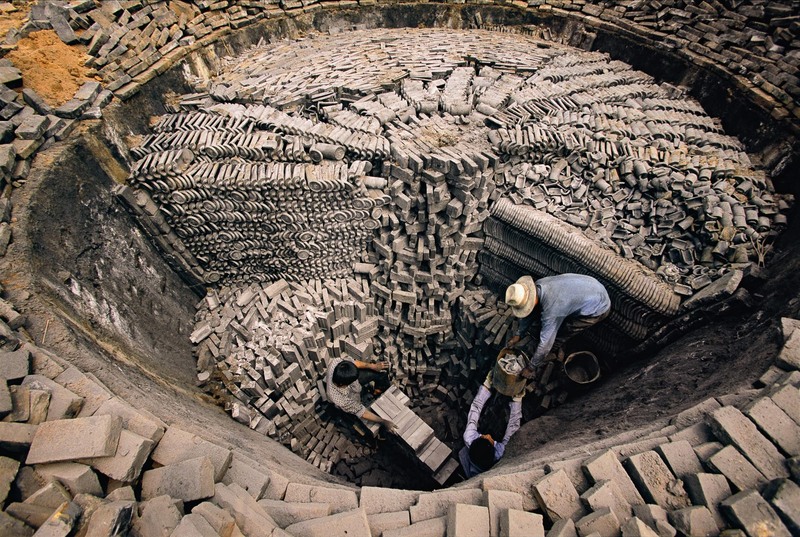 Here the brick makers collect the cooled finished product from the kiln.